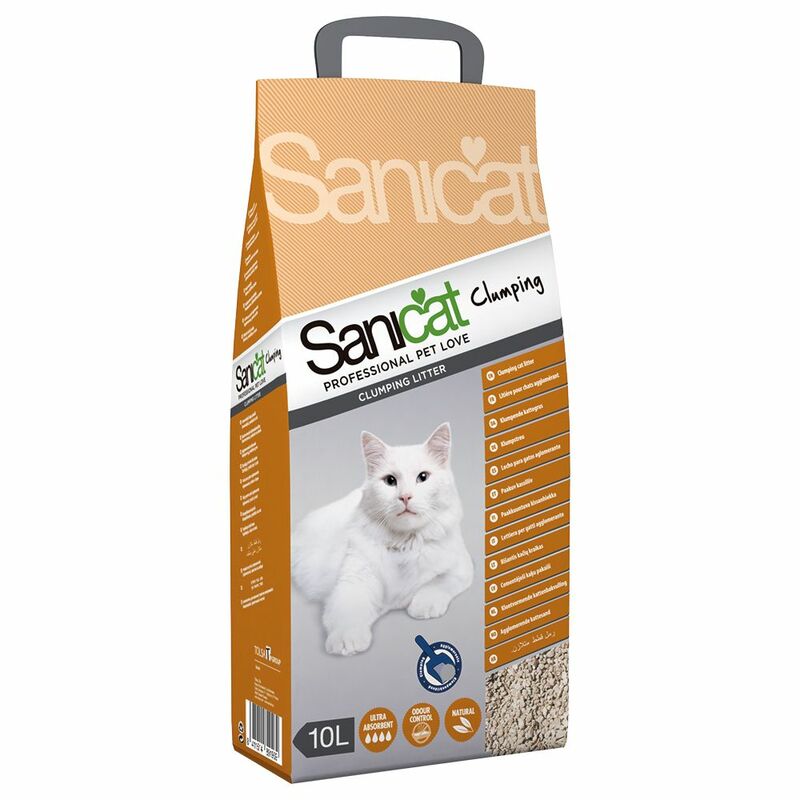 Sanicat Clumping is made of pure, untreated bentonite and provides simple, natural cat hygiene. The clumping litter absorbs moisture straight away and prevents the build-up of smells with its extra-strong clumping power. This makes the litter very efficient - simply remove the lumps with a scoop rather than replace the whole litter tray content. All product attributes at a glance: Absorbs liquids through clumping Efficient: 10 l Sanicat ProfeΒional Clumping lasts approx. 25 days Fine grains Maximum odour binding Natural product: bentonite Virtually dust-free The groΒ (total) weight of a product may differ slightly from its net (nominal) weight due to packaging, or higher filling weights. We use the groΒ weight of the product to calculate the order weight. The groΒ weight of this litter is: Sanicat Clumping Cat Litter 10l = 8.4kg net = 9.1kg groΒ Sanicat Clumping Cat Litter Ecopack 3x10l = 25.2kg net = 27.3kg groΒ.